Datsun will not set up an independent retail network when it starts selling in India next year but will rather piggyback on parent Nissan’s infrastructure to sell and service cars. 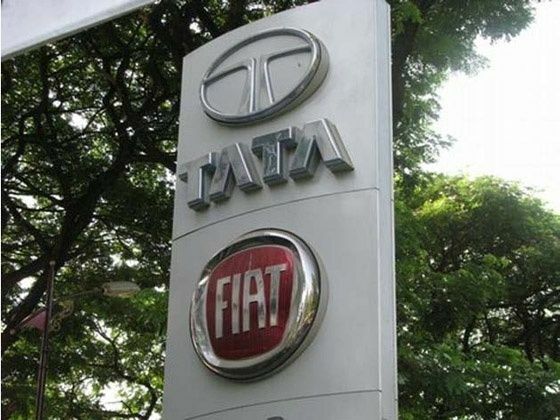 The move, however, is not being seen as a positive by industry analysts, who feel that an elaborate and self-run retail network is a requisite for a company that plans to take on industry heavyweights like Maruti and Hyundai. Vincent Cobee, global head of Datsun, said the company will bank on the network of Nissan when it starts rolling out cars from 2014. However, it will not be a product placement within the Nissan network, but rather Datsun will have a separate and distinct branding bay within the retail set-up. “Datsun will be sold in a fully-branded environment. In other words, the branding around the car, the sales person, the process and services will be Datsun specific and Datsun-branded,” Cobee told TOI, while elaborating on the distinct identity of the brand that Nissan is reviving after over 30 years to tap buyers in emerging markets like India, Russia and Indonesia. He said existing dealers of Nissan will have the right of first refusal when Datsun spreads its wings in the country. However, analysts doubted the company’s strategy in view of the strength of Datsun’s rivals and also due to the bad response to a similar initiative undertaken by Fiat and Tata Motors, which finally had to be dismantled as the Italian company’s sales had crashed massively. It’s well-known that Nissan plans to introduce 10 new products in the Indian market by March 2017, and with it, garner a 10 per cent marketshare. But what about these offerings – are these new nameplates, facelifts or generation upgrades? And, what role will Datsun play in all of this, if at all? We have all the answers. The 10 per cent marketshare in sales volume will come 50 per cent from Datsun and 50 per cent from Nissan products. The Datsun line-up will only comprise three products while there will be seven new offerings from Nissan. And by new, we mean new nameplates and generation upgrades. Facelifts like those of the Evalia and the Sunny which are expected before the end of this year, will not count against this number. Neither will engine or gearbox changes on existing nameplates. The first product from Datsun has already been unveiled. The Go is a Micra-sized hatchback with tremendous space on the inside. It will cost about Rs 3.6 lakh when it goes on sale early next year and will threaten the likes of the Hyundai i10. The next product from Datsun will be an MPV along similar lines as the Maruti Suzuki Ertiga. It too, will be based on the same modified B-platform as the Go and will make its debut in Indonesia in the later part of 2014. Expect seating for seven, and similar equipment and quality levels as the Go. It will be powered by the same 1.2-litre petrol engine as the Datsun hatch, and will additionally come with the 1.5-litre diesel currently found under the hood of the Micra. The Datsun MPV, we believe, will undercut the Ertiga and Enjoy pricing and should cost a little under Rs 5 lakh when it makes its Indian debut towards the end of next year. 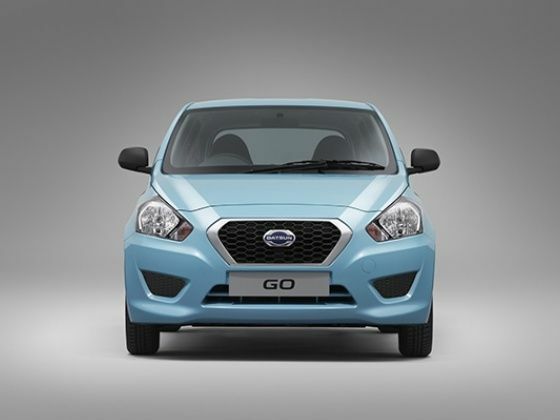 The final car from Datsun will be a sedan. Again, it will share its underpinnings with the Go and we don’t expect too many changes to the interior either. As for Nissan-branded products, there will be two all-new nameplates. The first will be the Duster-based, five-seater SUV, the Terrano. It will come with two engine options — one petrol and one diesel — and the diesel will further come in two states of tune, similar to the Duster. There will also be an all wheel drive version of the Terrano. Nissan will also debut its crossover the Qashqai sometime in 2014. But, it’s not the current model that will come to India but the next-generation version which will be built on Renault-Nissan’s new modular platform, the CMF. Nissan hasn’t yet confirmed whether the crossover will come in via the CBU route or will be assembled here, but it would make more sense to take the latter route. It will help keep the pricing reasonable and with it, attract higher number of buyers. The Qashqai in India will seat seven. Other new models will include the next generation X-Trail, again based on the CMF platform as well as the all new 370Z sports car. We don’t expect either of these models to contribute handsomely towards Nissan’s 10 per cent marketshare, especially the 370Z which operates in a very small niche. In 2015, Nissan will launch the all-new Micra. It will be based on the CMF-A modular platform. The CMF-A has been designed specifically for emerging markets and with India as its biggest production hub. The next-generation Sunny will also be based on this platform and will debut after the Micra. The last product which hit showrooms in 2016-17 will be an MPV. It could replace the Evalia or could carry an all new nameplate. But, like the Micra and the Sunny, it too will be built on the CMF-A. 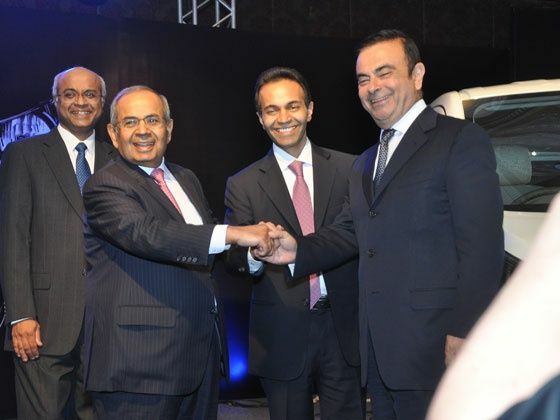 “Our brand-new vehicle reflects our continued focus on offering Japanese Technology and Quality at Indian Cost,” were Dr. V Sumantran, Vice Chairman, Ashok Leyland and Chairman, Nissan Ashok Leyland Powertrain Ltd’s words, which quite aptly describes what this vehicle really stands for. A year-and-a-half ago at the Auto Expo, Nissan had showcased the NV200 badged as Evalia for the Indian market. At the same expo, its Indian partner Ashok Leyland had on offer their version of the Evalia, the Stile. 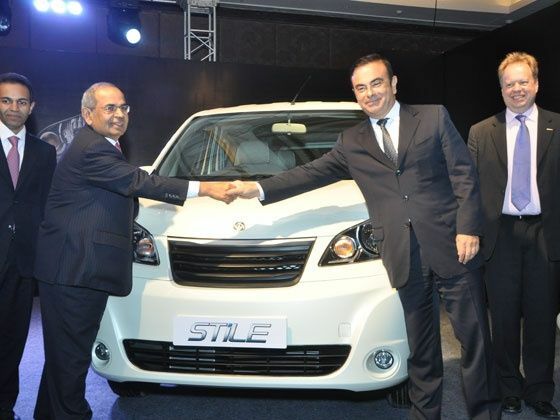 Now almost a year after Evalia’s launch, Ashok Leyland has announced that the Stile will be launched in Indian on July 16. Inside, it’s the same story. It’s Evalia with the Nissan badges replaced with Ashok Leyland ones. There are rumours that Ashok Leyland may provide captain seats for the middle row. Nissan is looking at updating the Evalia with the same seating arrangement. Seating space and luggage capacity will be similar to the Evalia as well. However, the CNG tank at the rear will eat into the luggage space. At the launch Ashok Leyland will offer two engine options – diesel and petrol/CNG. The 85PS 1.5-litre k9k diesel engine is a proven warrior. The specifications of the CNG engine though are a mystery at the moment. There will be multiple application variants of the Stile on offer such as a hotel shuttle, ambulance, courier van and for large families. Expect the Stile to be priced lower by around Rs 50,000 than the Evalia. It will compete with the Tata Winger and to some extent the Tavera.